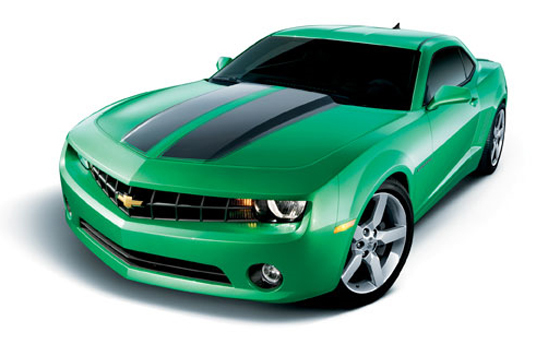 Chevrolet today debuts the Camaro Synergy Special Edition with pricing starting at $26,790. Synergy will be produced in limited quantities from February to May. Audi is showing an uncompromising purist compact sports car with all-electric drive at the first major auto show of 2010. The Detroit showcar Audi e-tron is the name of this 3.93 meter (154.72 in) long and 1.78 meter (70.08 in) wide but just 1.22 meter (48.03 in) tall two-seater; just a few months after the debut of the Audi e-tron at the 2009 Frankfurt Motor Show, this is now the second electric concept vehicle from the brand with the four rings. A new star is born: The Mercedes-Benz SLS AMG is the new Gullwing-Mercedes. This fascinating super sports car is celebrating its world premiere at the IAA in Frankfurt. Motors24.com shows the car of dreams in dephts and shows the strenghts and new solutions of the SLS. Fordâ€™s new 2010 Fusion is set to shake up the cut-throat mid-size sedan segment when it goes on sale early next year, bringing an all-new hybrid that will deliver the best fuel economy of any sedan in America, unsurpassed 4-cylinder gasoline fuel economy, more power, class-exclusive technologies including a blind spot detection and warning system and Ford SYNC, plus proven quality and reliability that has been recognized by the top consumer groups and magazines.